It should be simple for multiple people to control and stream music through a single sound system. But too often, it’s not. Some speakers support AirPlay, but Apple’s walled garden rules out Android hardware. Bluetooth is an adequate solution, but all too frequently your playlist is interrupted by an incoming text message, or when you step outside and suddenly notice your smartphone is out of range. 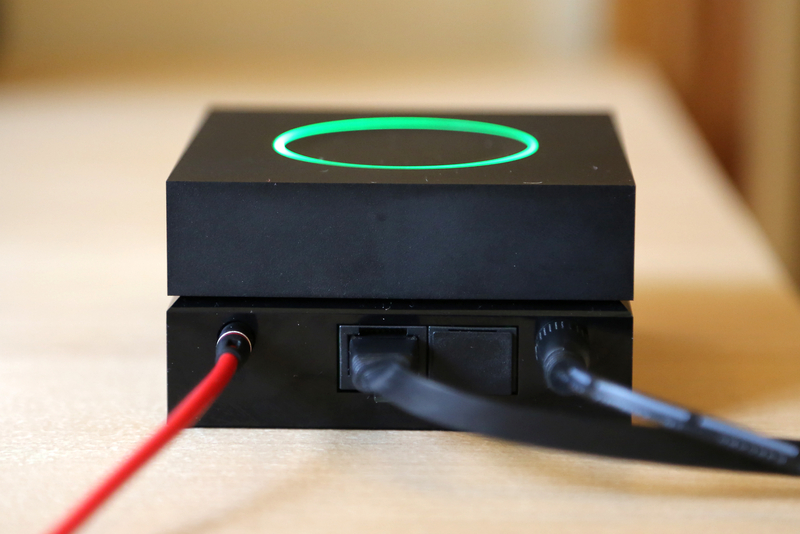 Gramofon is a cheap, small and stylish Wi-Fi router from Fon that turns any speaker into a music streaming jukebox. To get started, you’ll need to plug the box into a power supply and then connect it to the internet using its built-in ethernet port. A third opening connects it to your speaker with a 3.5mm jack. Now you’re ready to spin some digital records. I was able to go hands-on with an early version of the Gramofon. The device allows multiple people to join its unique Wi-Fi network and contribute to what’s playing through your connected speaker. The best functionality comes with Spotify; on the same account, a large group of people can browse the music streaming service and choose what’s played next. Better yet, multiple people can select and queue up songs, just like an old-fashioned jukebox. I tried using different Spotify accounts too. Controlling the Gramofon this way means you can’t queue tracks one after the other, but I was still surprised at how quickly I could “hijack” the current track with a separate device. Just press the Spotify Connect button, followed by the Gramofon and you’re away. 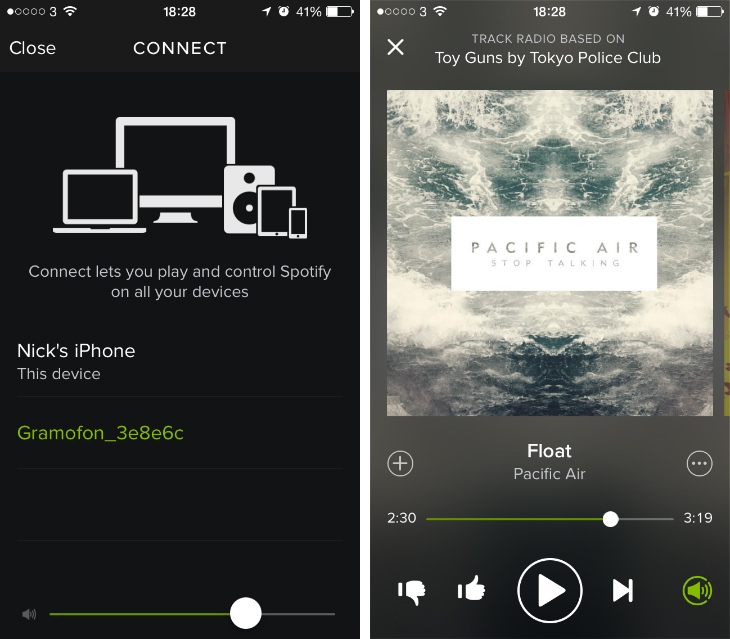 The music streams directly from the Gramofon, so you’re not limited by range. Similar to Google’s Chromecast, you can close the app or even disconnect from the Gramofon’s Wi-Fi network – the music will continue streaming without interruption. Of course, you’ll need to reconnect your device to regain control or queue up a new track, but it’s a useful fail-safe. If you’re hosting a party and suddenly run out of ice, the music won’t stop while you head to the store. Given that your music is streaming directly over Wi-Fi, the audio quality should be better than Bluetooth too. I’m not an audio expert, but trust the Gramofon is streaming my Spotify playlists with minimal compression. (Or the same amount experienced on my regular Wi-Fi network, anyway.) If you’ve embraced music streaming, this could be one of the best solutions for your speaker. 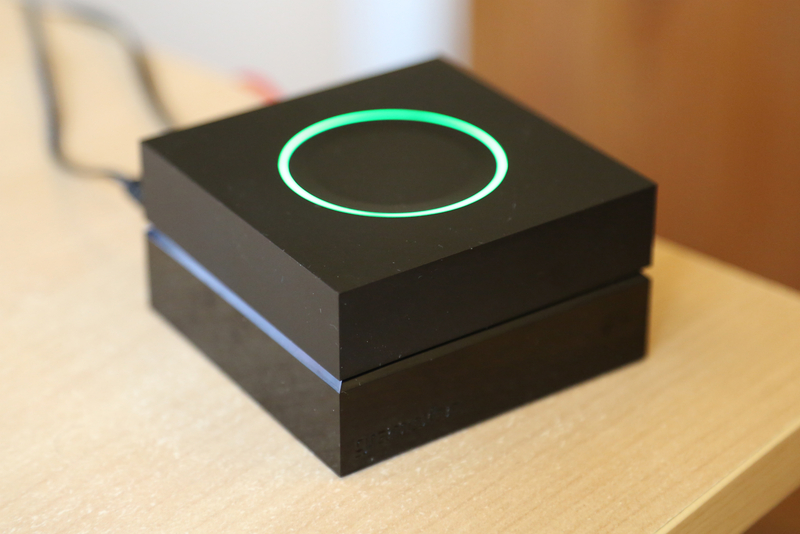 Gramofon also offers its own app, but it’s too early to recommend it. The design is plain and during my tests, a number of features were missing or not functioning properly. At its core, the app is a free internet radio service powered by WahWah. Once you’ve connected via Facebook – that’s required, unfortunately – you can enter an artist and immediately listen to a playlist. Although the app is available right now in the App Store and Google Play, it still feels like a prototype build. In my opinion, you’ll always be better off using Spotify – even if that’s the free version that shuffles whatever you’re listening to. There’s scope for Fon to build a compelling app here, but I think the firm is better off integrating with other music streaming services instead. The model I tested could only facilitate Spotify and the official Gramofon apps. On its site, however, the company is promising support for Rhapsody, Napster and TuneIn Radio down the line. A Fon spokesperson told me the company will integrate them using Qualcomm’s AllPlay media platform later this year. None of these are particularly exciting, although it’s worth noting the bevy of other services Fon says it wants to add on its original Kickstarter page. Rdio, Deezer, Google Play Music and Pandora are all listed – if the company can offer a stress-free streaming experience for those too, this tiny Wi-Fi router will be able to tempt a much larger group of potential customers. The final Gramofon model will also offer a second Wi-Fi network designed specifically for your guests. Instead of typing in a long-winded password, they’ll be able to log-in with their Facebook, Google or Fon account. If you’re connected with them on any of those services, they’ll be authorised and able to get online. This particular feature wasn’t quite ready on the unit I tested, however. The Gramofon isn’t perfect. The box still connects to everything with wires, which inevitably restricts where you can have it in your home. Similarly, the device has to be pretty close to your speaker system, unless you’re happy running a cable across the room or buying a wireless audio transmitter. For newcomers, it can be a little confusing to wrap your head around too. It’s not difficult to set up, but I suspect most people will be left scratching their head if they run into any technical difficulties. Similar to Chromecast, it relies on multiple pieces to work – a problem Sonos owners are able to avoid. The counter-punch is that you can pre-order the Gramofon for $50. That’s pretty darn cheap and a great way to bring an older sound system up to speed. Lots of people have spent large sums of money for a high-end audio experience, only to yearn for the freedom of music streaming. Instead of selling your beloved speakers and buying an entirely new setup, this is a cheap, quick fix. Will it render AirPlay and Bluetooth speakers obsolete? I don’t think so. Bluetooth speakers are still useful – you can connect your smartphone to them anywhere – and I think most people are content with their shortcomings. 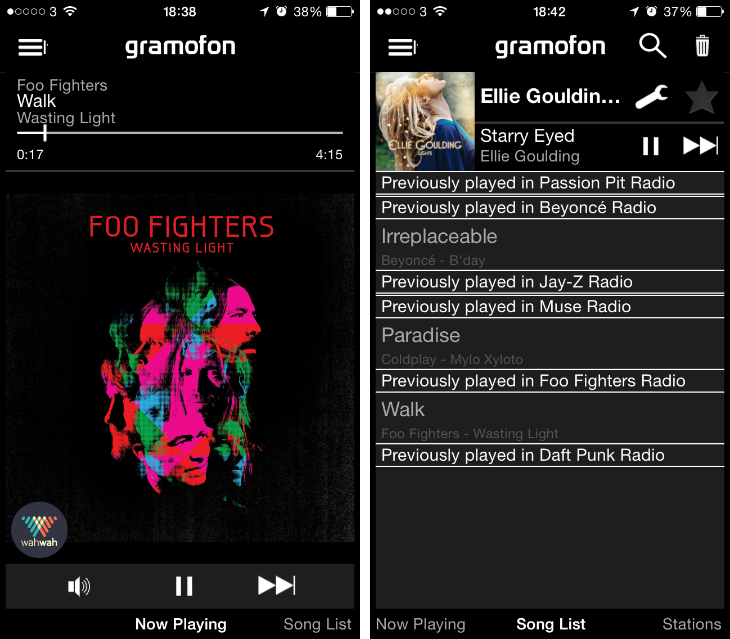 If you’re after just a little more freedom though, Gramofon is worth looking at. Especially if the company is able to integrate new music services in the future.